Ní hiad Sinn Féin an t-aon dream atá ag diúltú mionn dílseachta a thabhairt don Bhanríon Eilís, mar a mhíníonn Tony Birtill. 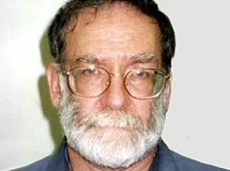 I mí Eanáir na bliana seo caite cúisíodh an Dr Harold Shipman as cúig dhuine dhéag a mharú i mbaile Hyde in aice le Manchain Shasana. Meastar, áfach, gur dhúnmharaigh sé na céadta. Tá aithne ag Tony Birtill ar dhuine dá chuid othar a tháinig slán. 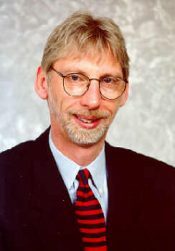 I ndiaidh dó éisteacht leis an Dr. John Reid ag caint i Learpholl le gairid, tá Tony Birtill den tuairim nach bhfuil Státrúnaí an Tuaiscirt sásta dul i ngleic i gceart le ceist na póilíneachta sna Sé Chontae. 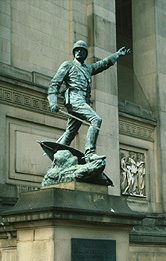 De bharr phróiseas na síochána, measann Tony Birtill go mbeidh sé níos fusa ag Éireannaigh sa Bhreatain comóradh a dhéanamh ar Éirí Amach 1916 agus ar eachtraí tábhachtacha eile i stair na hÉireann. Feiceann Tony Birtill cosúlacht mhór idir an dóigh a bhfuiltear ag caitheamh le Moslamaigh i Sasana le cúpla seachtain anuas agus an tslí ar caitheadh leis na hÉireannaigh sa tír le linn na dTrioblóidí. 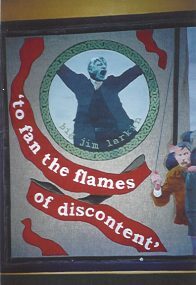 Jim Larkin feicthe i dteach tábhairne! Tá cáil ar Jim Larkin mar dhuine a bhí go hiomlán in aghaidh na dí. Nuair a bhí sé ag obair mar shaoiste sna dugaí i Learpholl i 1903, cuir i gcás, ní raibh sé sásta pá a thabhairt do na dugairí sa teach tábhairne, mar a bhí sé de nós ag na saoistí eile a dhéanamh, agus ní raibh seans ag fear ar bith a raibh boladh dí ón anáil post a fháil le Larkin. Bearna idir tuiscint agus dearcadh na gceannairí polaitiúla agus tuiscint agus dearcadh na ngnáthdhaoine - sin rud atá le feiceáil ar scála idirnáisiúnta sa lá atá inniu ann. An dtiocfaidh na vótálaithe amach? 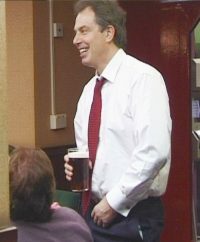 Sin ceann de na príomhcheisteanna atá ag Tony Blair, William Hague agus Charles Kennedy agus olltoghchán na Breataine ag druidim linn. An oibríonn laissez-faire faoin tuath? 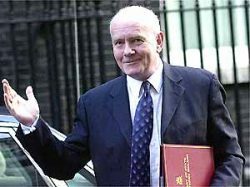 Sin an cheist atá á cur ag cuid mhór d’fheisirí Pháirtí an Lucht Oibre i Westminster agus iad ag smaoineamh ar rialtais Thatcher/Major, rialtais nach raibh trua ar bith acu do na mianadóirí guail ná don lucht oibre sna monarchana agus sna longchéartaí nuair a chaill siadsan a slí bheatha.